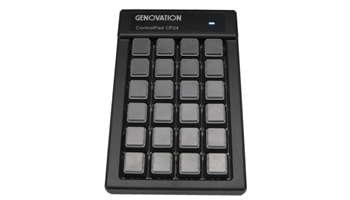 The ControlPad CP24-USBHID is a versatile, 24-key programmable USB Multimedia keyboard. Your custom macro key definitions are stored within the CP24-USBHID’s internal FLASH memory making it a true “PLUG and PLAY” programmable USB keyboard. Please call for MAC or Serial options.